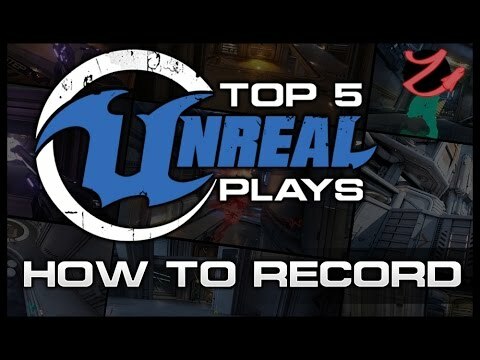 A lot of people been asking me how to record footage for top 5 unreal plays so quick made this video up show the best ways. Since I learned about Shadowplay, I can barely play without it for fear of missing some good material, it's that unobtrusive and intuitive, which surprised me a lot. After watching the video, I've only used Shadowplay. The shadow time feature is amazing. Unfortunately I occasionally get graphic driver crashes and they might be related to shadowplay (it's beta), after crash recovery I need reboot in order to shadowplay to work. The only time I get driver and game crashes is on Outpost, but it happens 100% of the time. Sometimes it's minutes in, other times it's immediate. Shadowplay has functioned flawlessly for me, aside from the fact that sometimes it spits out an hour long clip (which is duplicating the smaller clips I took plus extraneous footage I don't need). I'm using Simple Screen Recorder for over a year now and it's an awesome piece of software. Much more powerful than many similar programs on windows. Haven't tried it with resolutions higher than 1920x1080 but it's very efficient in full-hd, much more than fraps at least. Install instructions are on the website I linked above, there are some video tutorials on youtube as well. P.S. Wut? Why is this not sticky? Fixed. I used Plays.tv after watching this tutorial (thanks Zaccubus). Easy to use, very low impact on performance and great quality recording. But after a new install of Windows and only UT4 i could not record anymore (also no hud overlay) with plays.tv. I tried every setting and it just did not work. I finally found out... > i installed Steam and now my Plays.tv is working perfectly (don't ask me why but im 100% sure this is fixed it for me). I also can't get Plays.tv to work with UT4. I have steam installed and running (although there's no connection to UT4 in steam). Last edited by Smurgl; 11-21-2015, 12:24 PM. You can even set it for 1 minute or 2 on shadow mode and when action happens press whatever key to save video and it doesnt use up much space. You dont even need 5 min or 10 or more. I've tried plays.tv before and it worked but it often caused driver crashes, so I stopped using it. Now with the new crimson driver I gave it another try, but it doesn't recognize the game anymore, nor does Raptr. I guess I'll have to wait for ut's built-in demorecording.